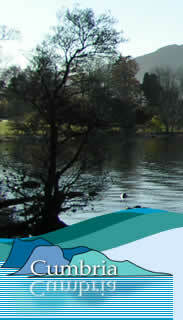 Welcome to the 'ShowmeCumbria' Tours & Transfers website. 'ShowmeCumbria' is a small business and we pride ourselves on personal attention and providing customer satisfaction. After using our services, we hope that you will want to book with us again and recommend us to your friends. Our aim is to pack as much as possible in to your Cumbrian visit whilst providing you with a first class Tour and Transfer service and introduce you to the most picturesque corner of England. Cumbria has wonderful scenery, a great history and countless things to do. We want to help you enjoy your visit. This website will give you some ideas in ways in which we can help you. Click HERE for suggestion. We can start your visit by meeting you at any Railway Station if you wish and transferring you to your chosen Hotel or Guest House. Or maybe just collect you from your Hotel and show you around your requested areas of this beautiful part of the world. As an addition to our service, we can take snaps of you and the places you visit whilst on your tour, and the photos will be copied to a photo c.d. for you to keep as a memento of your visit. This service is optional. Our Private Hire vehicle is fully licenced by Eden District Council and Andy will personally host your tour using his 50 plus years of local Cumbrian knowledge.